As nurses and consumer advocates in Texas fought for full Advanced Practice Registered Nurse (APRN) practice authority this past legislative session, those opposing the measure trotted out an unlikely source: a patient who had suffered harm at the hands of an APRN. Likewise, nurses and consumers in Oklahoma were stymied in their push for full practice authority when a legislator expressed concern with a growing rate of malpractice claims against APRNs. But when you step back from arguments that are based on emotion and anecdotes, all that’s left are facts—and facts are stubborn things. This is further borne out by malpractice claims and payout data, contrary to the concerns of the legislator from Oklahoma. Some of the most recent data available from the National Practitioner Databank, a national repository of malpractice claims and payouts, shows that nurse practitioners did experience an 18% increase in malpractice claims from 2007-2011. And yet, during that same time, the number of nurse practitioners increased by a whopping 28%. The fact is that although malpractice claims increased by 18%, they should have increased by 28%, in line with the increase in nurse practitioners. In other words, nurse practitioners actually improved their safety as determined by the rate of malpractice claims during the study timeframe. What’s more, a 2013 American Association of Nurse Practitioners’ study of the National Practitioner Databank found that the malpractice payment rate for nurse practitioners was half that of Physician Assistants and ten times less than that of MDs and DOs. Put another way, while it’s true that one in a thousand APRNs made a malpractice payout during the study period, that was a much lower rate than the one in five hundred PAs, or the one in one hundred MDs/DOs. Facts are stubborn things. 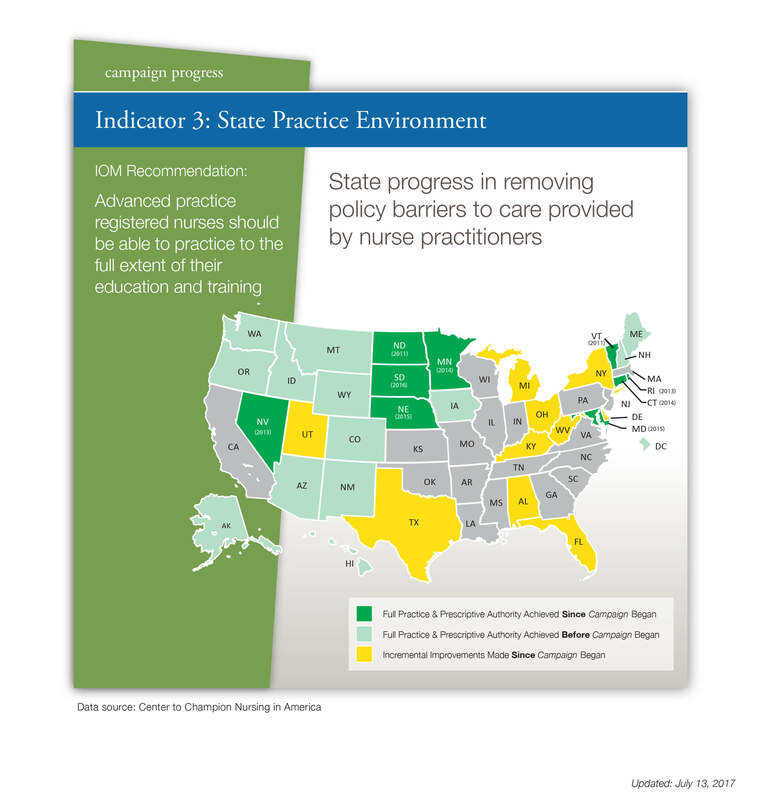 And here are some for states without full APRN practice authority to consider: APRNs practice safely, effectively, and cost-efficiently, and are much less likely to harm patients or pay out malpractice claims than other healthcare providers. 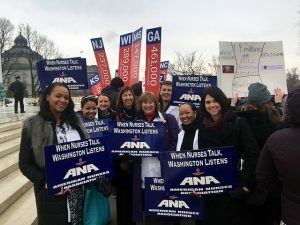 Nurses Wonder: When is Enough, Enough? Ad Nauseum is a Latin term describing something that has continued “to the point of nausea.” Merriam-Webster defines it as “to a sickening or excessive degree.” Ad Nauseum, then, holds the distinction of being the perfect word to describe the current status of research demonstrating the safety and efficacy of Advanced Practice Registered Nurses (APRNs). It’s been six years since the National Academy of Medicine concluded in its groundbreaking “Future of Nursing” report that “the contention that APRNs are less able than physicians to deliver care that is safe, effective, and efficient is not supported by the decades of research that has examined this question.” The Institute backed this up with mountains of peer-reviewed scientific evidence. These studies are just a smattering of scores of research published since the National Academy of Medicine, on the basis of decades of research, concluded without stipulation that APRNs practice just as safely, effectively, and efficiently as physicians. And yet, 28 states still do not allow APRNs to practice to the full scope of their training and education. The VA recently allowed APRNs full practice authority, but excluded nurse anesthetists. This is not for lack of effort. Nurses, consumers, patients, and advocacy groups have collaborated in various ways to ask legislators in the 28 states to allow full APRN practice in the interest of achieving the “triple aim” of improving patient outcomes, population health, and per capita cost. The Robert Wood Johnson Foundation, AARP, the FTC, the National Governors Association, and many other influential voices have also weighed in on the side of granting full practice authority to APRNs in all US states. In many cases, these efforts have been thwarted by legislators and others who demand more evidence. But when decades of research ad nauseum clearly demonstrate the safety and efficacy of full APRN practice, many patients and nurses find themselves wondering: when is enough, enough? Author ANA Capitol BeatPosted on August 4, 2017 Format QuoteCategories Health Care4 Comments on Nurses Wonder: When is Enough, Enough?